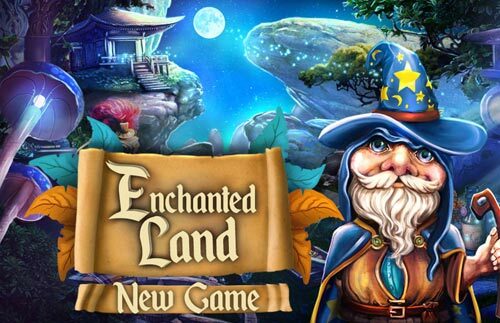 Welcome to the Enchanted Land full magical items which are being protected 24-7. Today you will be helping the dwarf Tulem who is the guardian of the enchanted land. His task is to keep an eye on the land and watch out for the magic items that can be found there. And when we are talking about magic, than there are no compromises, you must be the best. Protecting a land from intruders is a challenging task. A wide variety of creatures can be a threat. Layout, organization and training, traps and more, all contribute to the overall defense of the land and its objects. Tulem is very good guardian with a lot of experience and he has been protecting this magical land for many years now. He knows every inch of it, every object in it and every little detail. As every day, Tulem was guarding the land yesterday. Everything seemed normal and he didn`t notice someone trespassing the land. But, today he misses some magic potions, so he needs help to find them. We hope you won't mind helping Tulem and bring back the magical items.